STERLING, Va., September 25, 2018	(Newswire.com) - ​Grounds For Sculpture, a 42-acre sculpture park, museum, and arboretum located on the site of the former New Jersey State Fairgrounds, has implemented a 4-screen digital video wall that runs on the Mvix digital signage platform. Founded by artist and philanthropist Seward Johnson in 1992, the nonprofit presents and conserves an exceptional collection of contemporary sculpture. With over 2 million annual guests, Grounds for Sculpture offers outstanding year-round programming for all ages as well as seasonally rotating exhibitions in six indoor galleries to over. 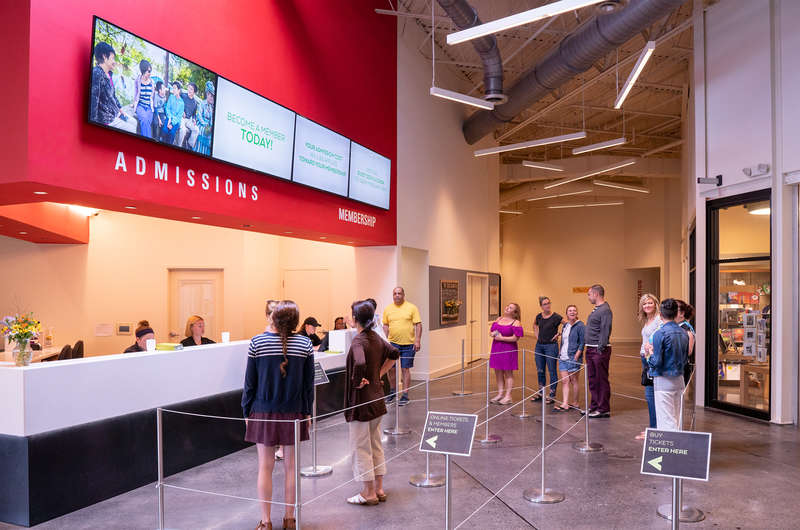 The Marketing and Guest Services teams at Grounds For Sculpture struggled to effectively promote upcoming events to on-site visitors and speed up ticket purchasing. Essentially, the solution needed to be eye-catching yet easy to understand, in order to improve the on-site experience and first impression of the grounds. Grounds For Sculpture installed a 4-screen video wall in the front lobby, powered by the Mvix digital signage software. To read the detailed case study, download your free copy here. Check out a short video of the installation here.